I love my iPad and I use it for many tasks that I would normally do on my computer. However, there is still one task I always have to go to the computer for. I can’t upload a file from my iPad to a website. For example, I am typing this post on my iPad right now. If I want to upload an image to the article I can’t unless I go to my iMac. There are many times I need to upload something to a website and can’t do it because I am on my iPad. This might be for an article I am writing or another project I am working on. Wouldn’t it be nice for those browse buttons on webpages could work and access the file system on the iPad? Or Dropbox? I can’t think of many new features for the next version of iOS, but this is definitely on my wish list. 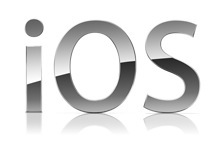 What features do you want in the iOS? This is solely because you change your web site by FTP. If you managed your web site with a simple built-in or online management app then you could make those changes without the need for old style FTP. Actually, I don’t use FTP for a website. I belong to an art website and I would like to be able to upload artwork from the iPad instead of having to do this on athe desktop. I still maintain I’d like to see wireless data sync of apps, app data, maybe even wireless iOS updates and backup on wifi (although they’d surely make battery life non-existent). The maps app included is falling behind what Google is shipping for Android. Also voice control/recognition in iOS is falling behind a bit.